"I learned a lot - Thoroughly enjoyed the mix of lecture and activities (hands on), especially found the scenarios to be helpful. Thank you! Engaging and energetic." 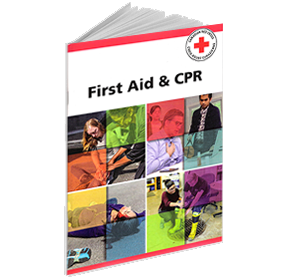 The Red Cross is no longer printing the full Standard First Aid manual, the new comprehensive First Aid manual is now available as a .pdf - click HERE to download it. A 77 page 'reference guide' is available to purchase for $10/copy. 16 hour course, required by WSIB for companies with 6 or more employees. Recommended for all manufacturing, construction & skilled trades employees. 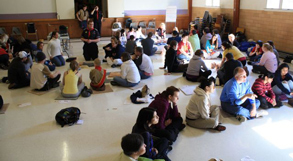 Also recommended for youth organizations operating within an urban area and the general public who want a greater understanding of urban first aid than is provided by the Emergency First Aid course. Level 'C' CPR includes Adult, Child, Infant CPR and AED (Automated External Defibrillation), Level 'A' CPR only covers Adult and AED. This course meets or exceeds WSIB requirements for workplace First Aid Training. NOTE: Payment must be received at least 2 business days before the course. Late payments subject to $20.00 late payment fee. 2) Credit Card (Visa, M/C, American Express) paid via PayPal (link below), you don't need to have a PayPal account. Just click on 'Pay with Credit Card or Visa Debit' at the bottom left of the PayPal page. 3) E-Transfer (email transfer). To pay by e-Transfer, please send the payment to: Laura@LMac-CPR.ca and use lmaccpr (all lower case) for the answer to the security question/password. 4) Corporate customers only, choose 'corporate' on the online registration form and your company will be invoiced (must be pre-approved). 5) $140.00 by CASH ONLY the day of the course. at their (speed) pace. It is estimated a blended learning course may	save 25% of the course time. The on line portion is expected to take between 4-7 hours and the in	class portion will be scheduled for 8 hours. Recommended for all manufacturing, construction & skilled trades employees. Also recommended for youth organizations operating within an urban area and the general public who want a greater understanding of urban first aid than is provided by the Emergency First Aid course. Level 'C' CPR includes Adult, Child, Infant CPR and AED (Automated External Defibrillation), Level 'A' CPR only covers Adult CPR and AED. Note: Once your payment is received and processed, you will be sent a PIN number so you may start your on line portion of the training. Upon successful completion of the on line portion you will have 4 weeks to complete the in-class portion. Participants MUST have the online portion completed 24 hours prior to the start of the in-class portion or they will be considered incomplete and not be eligible for the in-class portion. Anyone who misses their scheduled in-class portion will be charged $30 to complete the in-class portion at another time as long as it is still within 4 weeks of completing the on-line portion. This course meets or exceeds WSIB requirements for workplace First Aid Training. NOTE: Payment must be received at least 2 business days before the course. Late payments subject to $20.00 late payment fee. Please note that you are NOT considered registered until you have filled out and submitted the online registration form (link below the payment options). 5) $155.00 by CASH ONLY the day of the course. 8 hour course, you must have a non expired, Canadian Red Cross, Standard First Aid certificate (not a Recertification course) to qualify. For more information, click on this link - WSIB FAQ and look at item 10 (opens in new window). Level 'C' CPR includes Adult, Child, Infant CPR and AED (Automated External Defibrillation), Level 'A' CPR only covers Adult and AED. This course meets or exceeds WSIB requirements for workplace First Aid Training. 5) $100.00 by CASH ONLY the day of the course. Level 'BLS (HCP)' CPR includes Adult, Child, Infant CPR and AED (Automated External Defibrillation). This course meets or exceeds WSIB requirements for workplace First Aid Training.